When transitioning into the private sector, many veterans find that the valuable skills they picked up during their training don’t always get recognized in the job market or help when it comes to finding suitable careers for veterans. Fortunately, many of those same traits can actually help if you want to become a real estate agent. In the military, you were taught to problem-solve by first assessing a situation and then initiating a response. Since the real estate industry is constantly shifting and evolving, the ability to see a problem and take initiative is a valuable asset for a real estate agent. This skill helps to get new listings and allows you to assist a client in finding the perfect home for their needs. Delivering information that is accurate and concise is crucial when you’re in combat. Whether giving a listing presentation or explaining the terms of a contract, you’ve learned excellent presentation skills that are useful to a real estate agent and can help to put clients at ease. As a service member, you know it’s all about having an attitude that prioritizes getting the job done. When a veteran decides to get a real estate license, they bring that same positive attitude with them. Clients sometimes wonder whether an agent is really looking out for them, or simply serving their own self-interests. The can-do attitude of a veteran means there’s never any doubt. When a recruit trains for the military, they know they have embarked on a journey to learn new skills. That same quest for learning can make you the best in your field, and drive you to constantly look for new and better ways to serve your clients. 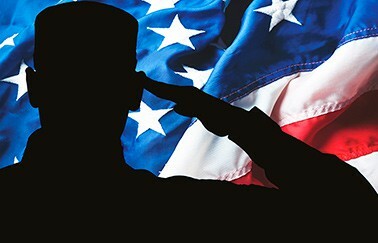 The Department of Veterans Affairs states that because of their military training, veterans possess a variety of cross-functional skills that can assist a veteran once they are out of the military. These skill sets can include everything from interacting with various people to coordinating and troubleshooting problems. These same skills can translate directly to a successful real estate career. Are you ready to start a career in real estate? Real Estate Express can help you ever step of the way.